When Holden New Zealand took the covers off the new The Holden Colorado Xtreme at this year’s National Fieldays in Hamilton recently, it attracted plenty of admiring comments. Flown from Spain to New Zealand to make its ‘down-under’ debut, the new Colorado Xtreme was hand built by the Holden Design Centre team in Australia, an indication of the future direction of the forthcoming new Colorado model. The new Holden Colorado will be launched in New Zealand in September and forms one part of the brand’s new model line-up rejuvenation which will see the introduction of more than 24 new models by 2020. Managing director of Holden New Zealand, Kristian Aquilina said show vehicles often have eye-watering price tags and whilst he was not going to put a number on this particular model, he did confirm it was likely to be the most expensive Holden model to ever land in New Zealand. The Colorado Xtreme was designed as a hint towards an exciting new direction for GM trucks. In addition to aesthetic enhancements evident on the exterior and throughout the interior, there are also significant under-the-skin improvements which build on the success of the current model. 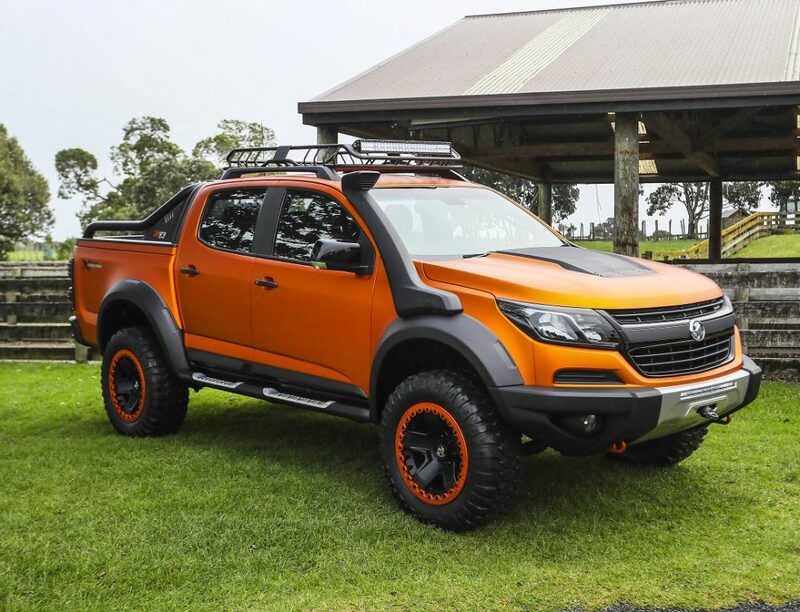 A wide range of genuine Holden accessories, inspired by the Colorado Xtreme show truck, means as much as 70 per cent of these will be made for the upcoming 2017 Colorado. Customers with a desire to personalise their vehicle will be able to choose from popular additions including safari bar, sports bar and optional alloy wheels, allowing customers to effectively recreate the well-received show car. “The Colorado already offers 3.5 tonne towing, 500Nm of torque (available on the automatic transmission) and fantastic offroad capability which make it perfect as a day to day workhorse, but our customers want a vehicle which is also adaptable enough to be used on the weekend as a family vehicle,” said Mr Aquilina. A larger eight inch colour touch screen and the latest MyLink system equipped with the latest Apple CarPlay® and Android Auto connectivity technology, are designed to support the customer’s active lifestyle and will be a feature of the new model.